Certified Nursing Assistants And Pain Killer Addiction: How Can You Help Your Friend? If your dearest friend is a certified nursing assistant who has an addiction to pain pills, you may wonder if there's anything you can do to help your loved one get through it. Although nursing assisting is a popular and rewarding career field for men and women, it can take a toll on their physical health. Your friend might take their medications to help them get through their long shifts. However, your friend's addiction may be hazardous to other as well, especially if they accidentally hurt a patient on the job. Here's more information about the addiction and what you can do to help a friend overcome it. Why Is Painkiller Addiction Dangerous? Nursing assisting requires individuals to work shifts that range from 8 to 12 hours at a time. 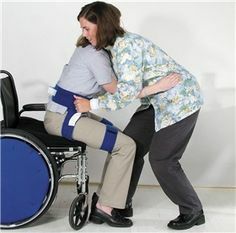 Most jobs require assistants, or aides, to transfer, move, or lift non-ambulatory patients from bed to wheelchair and vice versa without equipment. If your friend developed a bad back, knees, or neck from lifting or transferring patients, they may use painkillers to dull the pain. Painkillers, such as hydrocodone, oxycodone and propoxyphene, can be very dangerous for users because of how they affect the mind and body. The drugs tend to make people feel high after they take them. Many individuals experience mood swings and poor judgment when they're high. These issues can be harmful not only for your friend, but also for the people in their care. For instance, if your friend feeds solid food to a patient who's on a strict, soft food diet, and the person chokes or aspirates, your loved one may lose their license to work and/or face legal repercussions. To help your friend beat their addiction and become stronger, seek substance abuse treatment for them. How Can You Help Your Friend? Substance abuse treatment doesn't just help people who abuse drugs, alcohol, and other vices. The treatment can also help addicted people learn to live without their vice in a number of ways, including therapy and detoxification. Therapy may involve participating in peer group meetings, or it may involve one-on-one treatment with a professional therapist. Therapy helps your friend learn why they take their medications and what they can do to change it. Detoxification essentially removes the drugs from your loved one's system so that they can heal. The detox time can vary, depending on the types of drugs in your friend's system. After the detoxification process ends, your friend may experience a number of withdrawal symptoms that range from nausea to angry outbursts. Gradually, the withdrawal symptoms will fade until your loved one feels more comfortable about the change in their life.